We are so proud and grateful to have the support of NUTTELEX MADE WITH COCONUT OIL, Australia’s very first 100% palm oil free spread made with the goodness of coconut oil. NUTTELEX MADE WITH COCONUT OIL (PALM OIL FREE) IS GOOD FOR YOU AND GOOD FOR ORANGUTANS! 5 cents from every Nuttelex Made With Coconut Oil pack sold will be donated to Orangutan Foundation International Australia to help us preserve & protect Borneo’s orangutans. Specifically, these Nuttelex sales will support OFI’s Orangutan Care Centre & The Orangutan Legacy Forest project, to purchase and protect essential rainforest habitat for the long-term conservation of orangutans. Completely palm oil free, cholesterol free and virtually trans-fat free, NUTTELEX MADE WITH COCONUT OIL (PALM OIL FREE) is made with the very best quality, non-GM Canola & Coconut oils making it a great alternative to other spreads. With 50% less salt than regular butter and free from common allergens such as lactose, eggs, gluten, soy and nuts, NUTTELEX MADE WITH COCONUT OIL is great for the whole family. 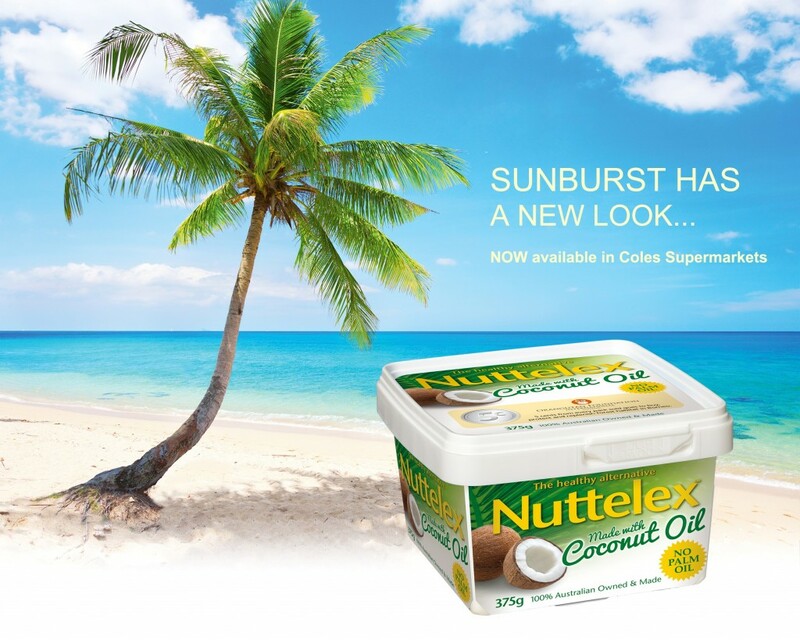 NUTTELEX MADE WITH COCONUT OIL (PALM OIL FREE) is available at Coles stores nationally. It is also available in Woolworths & IGA supermarkets in Victoria. But we’d love it to be everywhere! If your supermarket isn’t stocking NUTTELEX MADE WITH COCONUT OIL (PALM OIL FREE) yet, please ask them to come on board and make this palm oil free spread available to everyone in Australia. 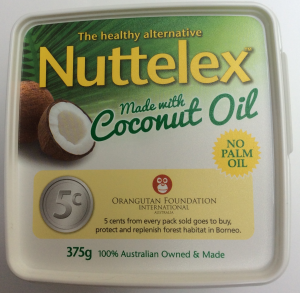 The more NUTTELEX MADE WITH COCONUT OIL (PALM OIL FREE) sold, the more this Australian family owned company will be donating to help orangutans. For more information, please visit http://www.sunburst.net.au/ and don’t forget to “like” them on Facebook at https://www.facebook.com/sunburst.spread!